If you’ve been dazzled by the latest summer blockbuster or must-see TV epic, you might think making a movie or show is all Hollywood magic. But behind that magic is a lot of hard work. Productions with a lot of visual effects can require cutting-edge technology and massive, global teams of artists and animators. And with technical requirements only increasing in complexity, media and entertainment companies are continuously looking for ways to scale their resources and delight audiences—and many are moving to the cloud to do it. Today, we’re announcing several new updates that can help content creators take advantage of the cloud, starting with a new region in the heart and soul of media and entertainment: Los Angeles. 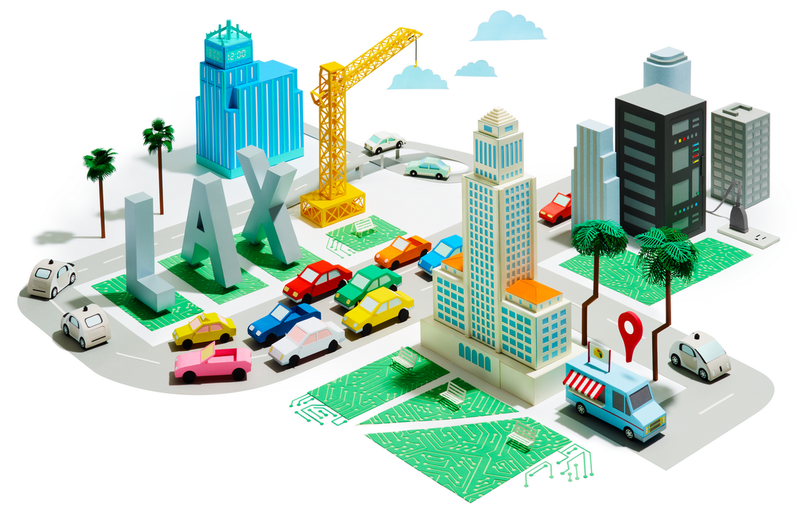 Launching this July, the new Los Angeles cloud region is the fifth for Google Cloud Platform in the United States, joining Oregon, Iowa, South Carolina and Northern Virginia. The Mill, a global visual effects studio that works on short-form content like commercials and music videos in addition to larger projects, has told us they’re excited to take advantage of the upcoming LA region. LA will be the newest member of our global network that already includes 16 regions across 12 countries, with more regions launching in the future in Hong Kong, Osaka, and Zurich. As the number of visual effects artists grows around the globe, having immediate access to scalable compute resources can help them deliver projects on time and on budget. File storage is critical for many workloads, from rendering to enterprise applications like SAP HANA. Today, we’re announcing Google Cloud Filestore, a managed Network Attached Storage (NAS) service for applications that require a file system interface and a shared file system for data. Rendering workflows run across fleets of machines, all of which must mount a shared file system. By using Filestore on Google Cloud, artists and creatives will be able to collaborate with each other more fluidly, resulting in a faster pipeline for those major productions. When combined with Transfer Appliance, a high-capacity server we ship to your data center so you can transfer data sets up to 480 TB of raw storage quickly and securely, media companies can further accelerate the content creation process. Announced last year, Transfer Appliance is now generally available, and is already being used by agencies like Eleven Inc. and creative platforms like Beatport to move petabytes of rich media content to the cloud as quickly as possible. Learn more about Filestore and Transfer Appliance on the GCP Blog. Google Cloud is helping media and entertainment companies meet the ever-growing demand for world-class content, from scalable infrastructure to solutions such as ZYNC Render and Anvato. And we’re working with our customers as well as a growing ecosystem of partners to help build solutions for content creation, distribution, and audience engagement globally. To learn more about our media and entertainment offerings, visit our website. If you’re attending SIGGRAPH 2018 in Vancouver this August, we’ll be on-hand to answer all your questions.